Noreen Krall: "The heavy processing requirements on corporations doing business in Europe are just tremendous. It really does pose a challenge." 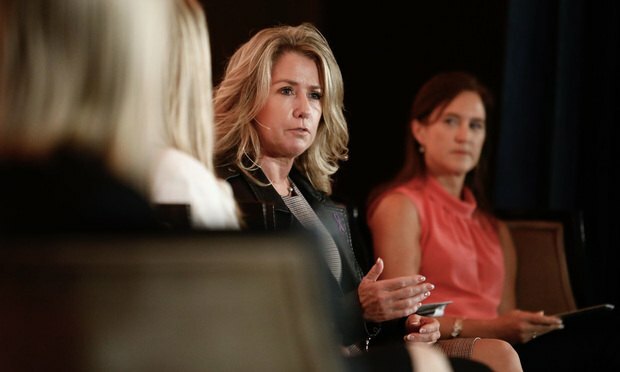 Noreen Krall, Vice President and Chief Litigation Counsel at Apple, speaking during a discussion at the 2017 ChIPs Women in Tech, Law, & Policy Global Summit in Washington, D.C. on October 19, 2017. As corporate legal departments brace for new European privacy protections set to take effect in May, a top in-house lawyer for Apple Inc. on Thursday predicted the rules—known as the General Data Protection Regulation—will put “heavy processing requirements” on companies that must give consumers more control over their personal information.